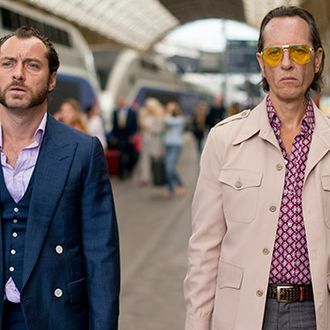 Forget the pretty-boy ingenue that Jude Law used to be: In his new film Dom Hemingway, Law dons mutton chops, gold teeth, and a Cockney accent as a fresh-out-of-prison safecracker who is trying to do right by his estranged daughter (Emilia Clarke from Game of Thrones) while at the same time extracting what he’s owed from the boss he protected while in prison (Demian Bichir). Things escalate fast in this crime comedy, and before you know it the profane Law is throwing down with Bichir in a room studded with monkey portraits shot by noted photographer Jill Greenberg … a scene that’s referenced in this striking, attitudinal poster, debuting exclusively on Vulture. 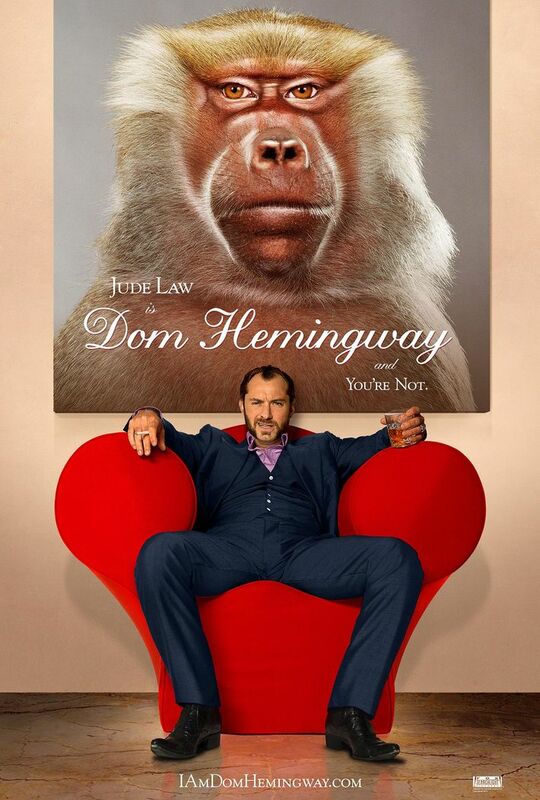 Dom Hemingway won’t be out in theaters until April 4, 2014, but Fox Searchlight will debut it next month at the Toronto Film Festival, and Vulture will be there, no doubt monkeying around.